Members of Shepherd by the Sea serve as readers, lectors, musicians, Eucharistic ministers, intercessors, and healers. 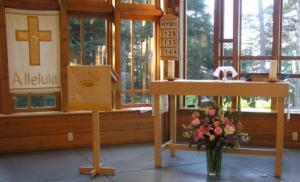 They also serve as greeters, coffee hour hosts, and members of the Altar Guild and the Mission and Liturgy Committees. Each week, Episcopal and Lutheran supply clergy share the celebration of our services. We welcome everyone who comes to our services to participate in one or more of these ministries. Please speak with a Greeter, call one of the contact numbers, or email us if you would like to volunteer or obtain more information.